NESTLED AMONG SIX ACRES in San Jose's Willow Glen neighborhood, Lincoln Glen Manor is dedicated to enhancing the lives of seniors by providing four levels of care. Conceived in 1965 by the Lincoln Glen Church Congregation, Lincoln Glen Manor was built in 1969. At that time, the community felt a responsibility to care for their seniors. Thus, the concept of Lincoln Glen Manor was instituted as a caring community for seniors adjacent to Lincoln Glen Church. Today, Lincoln Glen Manor provides four levels of care for seniors. Perhaps you are a senior citizen desiring to scale down your lifestyle from a large family home to a cozy caring community? Or maybe you are at the stage of life where you require a little help with daily activities? Possibly you are in the need of daily nursing care? Perhaps your loved one is struggling with Alzheimer's Disease or dementia? Whatever your stage of life, Lincoln Glen Manor is the optimum choice for enhancing the lives of seniors by providing independent living, assisted living and skilled nursing care. Easter Egg Hunt, Face Painting, Crafts and Yummy Snacks! Please come just for the fun of it. Any questions? Check with Activity Staff. Resident Families are invited. Location: Front lawn next to the nursing facility. Storytelling and Music with Danni Burton. On Easter Sunday please include our very own event on this very special day. Enjoy the wonderful stories and music with Danni Burton. Location: Blossom Lounge at the Nursing Facility. Gather your friends and let's go shopping. Here's the March schedule. Let the Activities Department know you want to go and find out stores they'll visit. Sundays: Themed Jeopardy coming to you every Sunday. Impress your friends with your skill and style. Mondays, Tuesdays and Fridays: Let's get moving! 3-Es with Cyrus. Let's Get Stronger. Achieve your fitness goals efficiently with a trainer. Location: Check with Acvities and Download the Flyer here. Mondays Cooking Classes:. Please join us for every Monday to make your own delicious treats! Tuesdays: Building Day: What is Building Day??? We need your help building fun activities for special events. Come join us every Tuesday! Fridays: Blockbuster Movie Afternoons: Bring out the popcorn! We'll present one of the greatest movies of the 2000s! Don't miss the fun. Returning in April: Science is Fun! Want to find new ways to learn or maybe stop by just for fun. Come check out Science is fun! Date: Returning in April. Locations, Dates and Times will be announced. Be sure to check with Activity Staff. In the meantime please download the flyer here. Gentlemen's Club: Once each month the Lincoln Glen Gentlemen's Club will present special activities. Please come. It is open to all men. Check with Activities for more information. Women's Club:This special women's program will take place once a month, presenting special activities. Please come. It is open to all women. Check with Activities for more information. Looking for Work? Check our job listings to see if we have new jobs. If you are looking for a job, please consider Lincoln Glen. We have a wide variety of job titles and opportunities for a caring person who enjoys working with seniors. Including a range of jobs from administrative staff, landscaping, nursing staff of all kinds, recreation and activity workers to leadership positions, we seek employees who can commit to the long-haul. Our employees are reliable, responsible and have cared for our residents for years. Our staff longevity has created not just a senior facility, but a family, a community of caring. All of these factors have earned Lincoln Glen Manor the reputation of offering compassionate skilled care. Many of our staff have been with us for a lifetime. Click on the Employment link in the left-hand menu. In this section you will find a link to current Job Openings and another link named, "How to Apply." Please feel free to pass this information to your friends and family-members who may be looking for work. Monthly Men's Luncheon - Please start to attend! You don't have to go out on this limb to attend our monthly luncheon exclusively for men who live at Lincoln Glen! Meet new people and socialize at a different restaurant each time. Luncheons feature a different restaurant that the men choose. A week before each luncheon just add your name to the sign-up sheet near the podium. Just call the Activity Office at (408) 265-3222. We hope to see you there! Please click this link to learn about the program. We are proud to report that Lincoln Glen has been certified as a California Continuing Care Retirement Community (CCRC). This special long-term care certificate from the State of California requires providers such as Lincoln Glen to offer a range of senior care including housing and residential services as well as a Skilled Nursing License that support seniors for a lifetime. 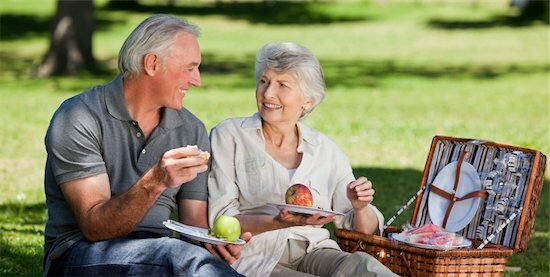 To learn about Lincoln Glen Continuing Care Retirement Community requirements and services please contact our office at (408) 265-3222. In addition, you can find our latest 2017 financial documents on our website at the Community Life tab on the Continuing Care page. Looking for Ways to Volunteer at Lincoln Glen? Lincoln Glen Activities Department introduces a new program for our volunteers. 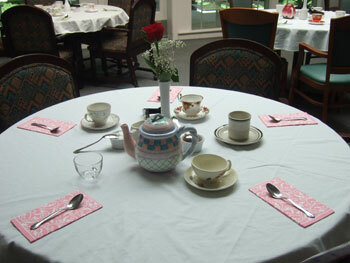 We offer many special events to residents each year. Now, it's easier than ever to volunteer. We've joined iVolunteer Online, a new service that lets you sign up for the job of your choice. The iVolunteer Online program lists upcoming Lincoln Glen activities, lets you select a volunteer job, and sends a confirmation email to you and to our Activities department. It's easy and we believe it will help you connect with us and keep us connected with you, as well. We have added the iVolunteer Online link to the Volunteer web page here on our website. On the volunteer page please click on the iVolunteer Online link and you will find a list of events that need your support. At the iVolunteer Online-Lincoln Glen page you may select the volunteer jobs you would like. Once you've selected an event and a job, you'll receive a confirmation email. NOTE: Before using the new program, all our volunteers complete Orientation and the application process. Thanks for volunteering! Residents of the Lincoln Glen Community find so much to do, friends to enjoy and staff who care deeply. These videos may take a minute before they start.